When this site first started it was supposed to be a site talking about phone secrets and now we have a wonderful secret Easter egg hidden on phones running the Gingerbread version of the android operating system. To start you need to open the settings menu on the phone which will look something like the image on left hand side of your screen. From here you need to scroll all the way down to the bottom until you come across an called "About phone". The icon alongside this option should look like an "information" symbol as you can see in the image to the right. After clicking on "About phone" you will see a host of options telling you about various facets of your phone and with a number of other sub menu's. 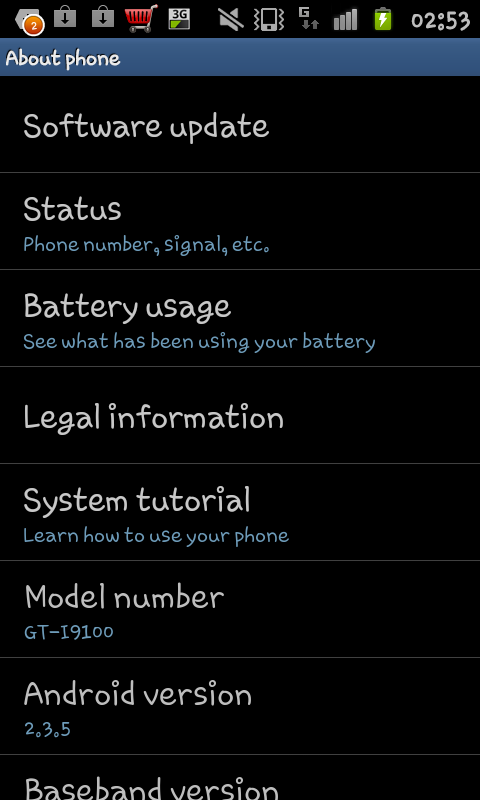 From this menu you need to find the option for "Android version"...then press it...repeatedly. You need to press it around 5 or 6 times inside a second or two (so you may want to use two fingers at once as if they were legs). surrounded by zombies. 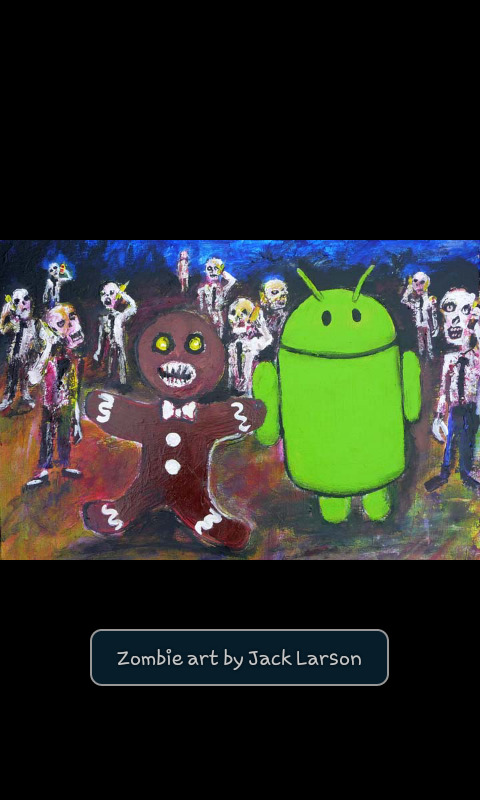 This is (as the screenshot says) an art piece by Jack Larson called "Zombie Art". Jack's artwork can be found at www.zombieart.blogspot.com and if your a fan of Zombie based artwork it is seriously worth checking out.